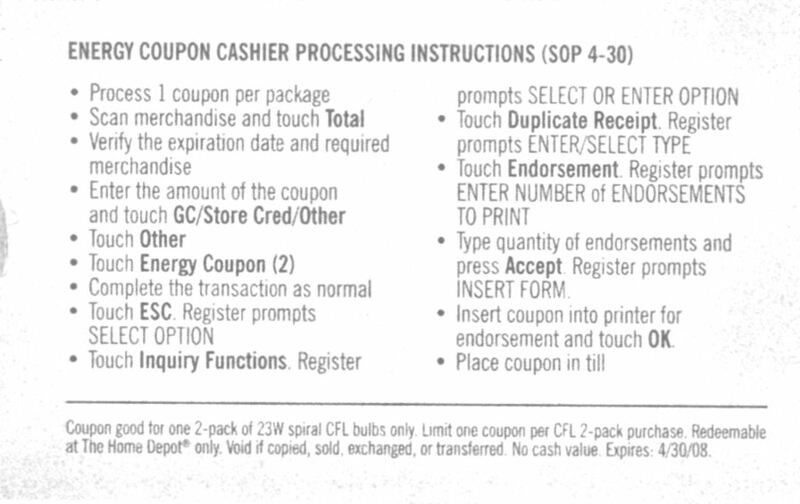 I was looking at a Home Depot coupon for those low-power fluorescent bulbs when I noticed the instructions to the cashier for how to ring the coupon. There are--I provide proof below--fourteen steps. This has got to be more complicated than having the air traffic tower talk you through an emergency landing after the flight crew have been incapacitated.